The Emanuel Synagogue on the corner of Woodland and Greenfield Streets in Hartford. WEST HARTFORD – Susan Goldberg recalls with fondness the Friday night services that were held at The Emanuel Synagogue when she was a teenager. At that time, the Emanuel was located on Woodland Street in Hartford. 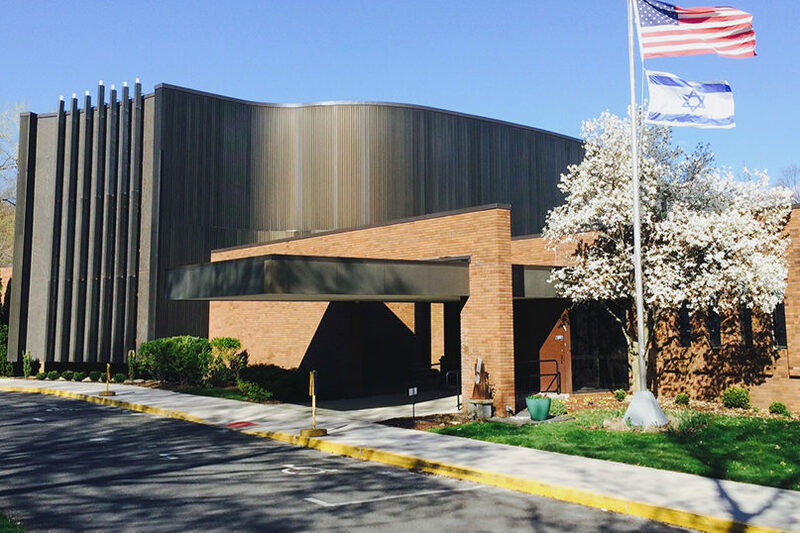 When The Emanuel Synagogue celebrates its 100th anniversary at a Centennial Shabbat weekend May 3-4, its members won’t be trekking over to Keney Park after Friday night services. But they will be remembering those golden years. “It will be a nostalgic evening, so there is going to be some storytelling and reminiscing,” says Elysa Graber-Lipperman, Emanuel president. The 8 p.m. service will be a “homecoming” service of sorts, with current and past Emanuel members joining together to share memories. Longtime Emanuel member Arlene Neiditz will give a keynote address. 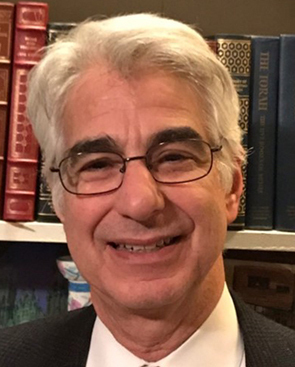 Hazzan Sanford Cohn and The Emanuel Adult Choir will play familiar melodies from the past during the service, which will be followed by an oneg Shabbat prepared by the shul’s Sisterhood. The congregation’s spiritual leader, Rabbi David Small, explains that, while Emanuel’s Friday night services today are around sunset in the winter and 6 p.m. in the spring and summer to accommodate families heading home for leisurely Shabbat dinners, years ago congregants would head back to Emanuel for the more formal 8 p.m. service. “For many years that was the model,” notes Small. As a “salute to that era,” he adds, the Centennial Shabbat will begin with what Small calls Emanuel’s “classic” 8 p.m. Friday night service. “It will be really nice and be a way of celebrating past generations, which is very important,” he says. On Saturday morning, Graber-Lipperman and Small will both speak about Emanuel’s past, present and future. “We are going to organize the Torah service a little bit like Simchat Torah in the sense that there will be aliyot to the Torah for everybody, emphasizing the role of all the congregants in the life of the synagogue,” he says. The Shabbat weekend is just one of the events that will be held throughout the year to commemorate The Emanuel’s centennial. Other events include a Community Service Day, a bike ride, a Centennial Party, and a Cantor’s concert. “We wanted to find a way to appeal to all different cohorts within the congregation,” Graber-Lipperman said. 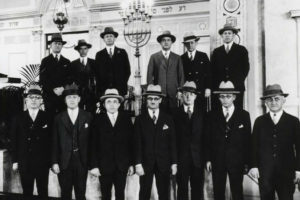 Emanuel’s Board of Trustees in 1927. 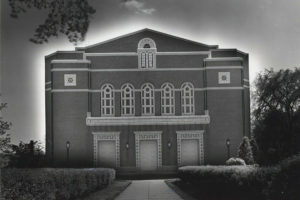 Founded in 1919, The Emanuel Synagogue was the first Conservative congregation in Connecticut, according to Emanuel archives. 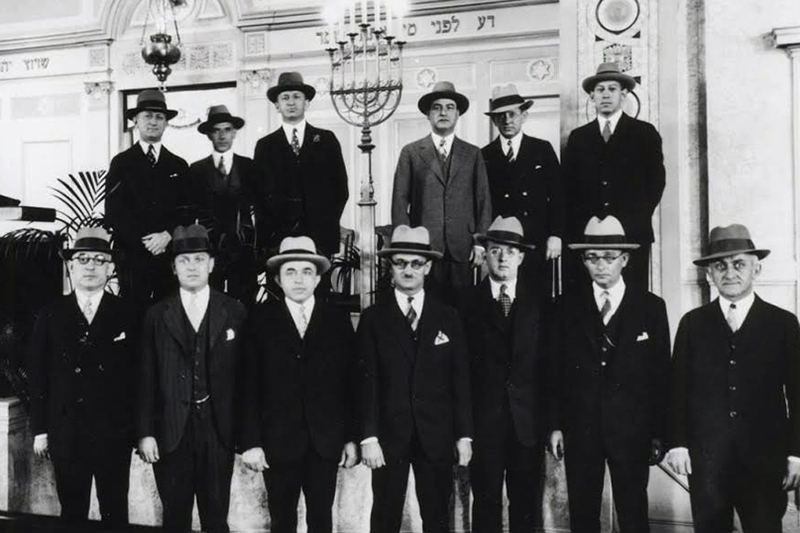 Led first by Rabbi Leon Spitz and then Rabbi Abraham Nowak, The Emanuel’s noted longtime spiritual leader, Rabbi Morris Silverman, arrived in 1922, staying on for 38 years. 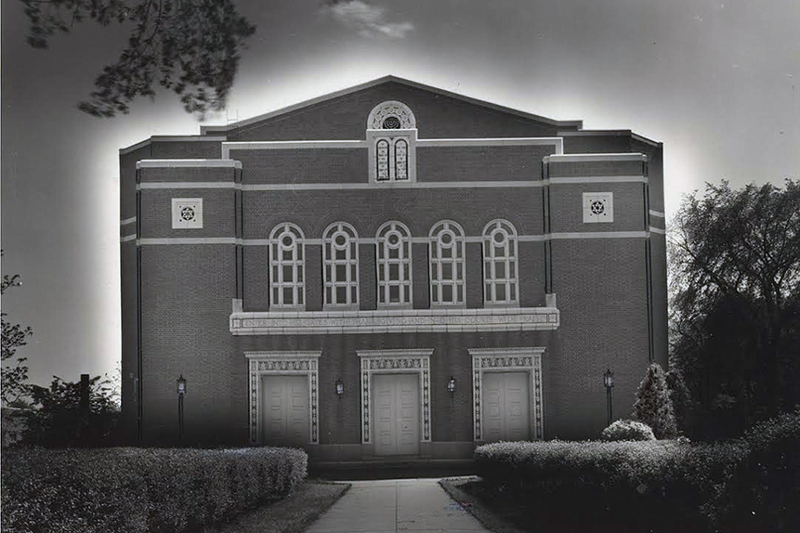 The Emanuel Synagogue building on Woodland Street was dedicated in 1927. Cantor Arthur Koret joined the synagogue’s clergy in 1949 and remained at the shul for 42 years. “The legacy of both Rabbi Morris Silverman and Cantor Arthur Koret were and are powerful in the synagogue and it’s an extra honor to serve in the place where such giants of the movement have been and done their work,” Small says. Those giants of the past have not been forgotten. “Rabbi Silverman was warm and charismatic. His wife, Althea, was a very strong person. And Alfred Weisel z”l [Emanuel’s education director for 32 years] was a big influence on me,” said Susan Goldberg, who is part of a four-generation Emanuel family that includes her son Lance and his family. Like Goldberg, Arlene Neiditz’s family history is also intertwined with that of The Emanuel. Her mother had attended religious school at Emanuel when she was a child, and when her parents married in 1935 in the home of her grandparents, Rabbi Silverman conducted the ceremony. 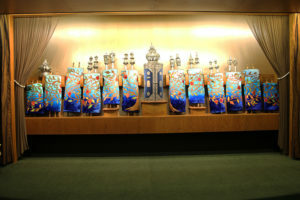 Neiditz’s parents joined the synagogue as members when Arlene was in the third grade. Neiditz’s husband Daniel’s grandparents were also very early members of The Emanuel. Daniel’s parents were married by Rabbi Silverman and he and Arlene were married by Rabbis Silverman and Novik in 1962. And the three Neiditz children all celebrated their b’nai mitzvah at Emanuel and were married by Rabbi Gerald Zelermyer, who served as the synagogue’s spiritual leader from 1983 until his retirement in 2002. Emanuel’s Torah covers were designed by renowned Connecticut Judaic artist Jeanete Kuvin Oren. Goldberg recalls a huge congregation on Woodland Street, which on High Holidays had to hold services in the synagogue’s auditorium, at nearby Weaver High School for college students and at the Northwest Junior High School for religious school students. Much of the social life for children and teens like Goldberg back then was based at Emanuel. She recalls leaving Shabbat dinner to run to Friday night services and then heading back to shul for 8 p.m. services. Besides congregating at Keney Park, she also remembers hanging out at the Emanuel and even doing Israeli folk dancing. “There was a lot going on for teenagers,” says Goldberg. 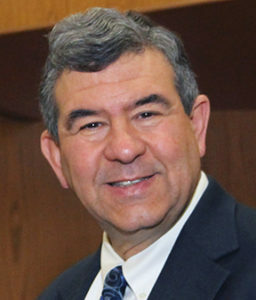 Rabbi Small said that the social element of synagogue life continues to be important at Emanuel, which has been located on Mohegan Drive in West Hartford since 1967. Saturday at noon, at the end of the Shabbat service where we always have a Shabbat Kiddush…People stay and have lunch and talk to each other. It’s intergenerational. The kids play and the older generation share their stories. That’s sort of our Keney Park today,” he says. The Emanuel’s Centennial celebration will continue into the spring and summer. On May 19 the Emanuel will hold a Community Service Day. On July 14 there will be a historic bike ride. “We were trying to have sites that have significance currently or previously, over the course of Emanuel’s 100 years,” said Rona Gollob, who is leading the bike ride committee. Golub was a member of Beth Hillel Synagogue, a Conservative congregation in Bloomfield that merged with Emanuel last year. The main 65-mile route (which turns out to be 100 meters) is still being planned but they expect to bike to sites including the Emanuel Cemetery in Wethersfield, the old Emanuel building on Woodland Street in Hartford, the old Beth Shalom building on Cornwall Street in Hartford (Beth Shalom, which served as Rabbi Philip Lazowski’s first pulpit, later merged in 1969 with Beth Hillel Synagogue), Beth Hillel Synagogue on Wintonbury Avenue, and then Beth Hillel Synagogue Cemetery in East Granby. More celebrating is planned for Sept. 15 when a special Centennial Party will be held at Emanuel. The party will feature food, music and dancing. “The theme is ‘Through the Years’ so there will be pictures from all different years, and music from all different years so people can dance,” Graber-Lipperman said. Finally, a Cantor’s Concert will be held on Nov. 17 featuring not only Emanuel’s Hazzan Sanford Cohn, but Cantors Gideon Zelermyer, Thom King, Laura Breznick, JTS cantorial candidate Jacob Greenberg, a former University of Hartford student who was mentored by Cantor Cohn, and Cantor Michael Zoosman, who grew up at The Emanuel and now serves at a synagogue in Rockville, Maryland. Beth El Temple’s Cantor Joseph Ness will conduct the Beth El orchestra. Cantor Sanford Cohn says the Cantor’s concert will feature a combination of traditional cantorial music, along with other genres such as show music and Yidddish folk songs. Rabbi Small praises the committee members who have been organizing the different facets of the Centennial celebration. “The role of the lay leadership in planning of the events has been in the forefront and that speaks to one of the ways we remain a dynamic congregation,” he says.